The Linon Foundation Collection is woven in Greece giving this rug a unique history and lending to a time transcending look. 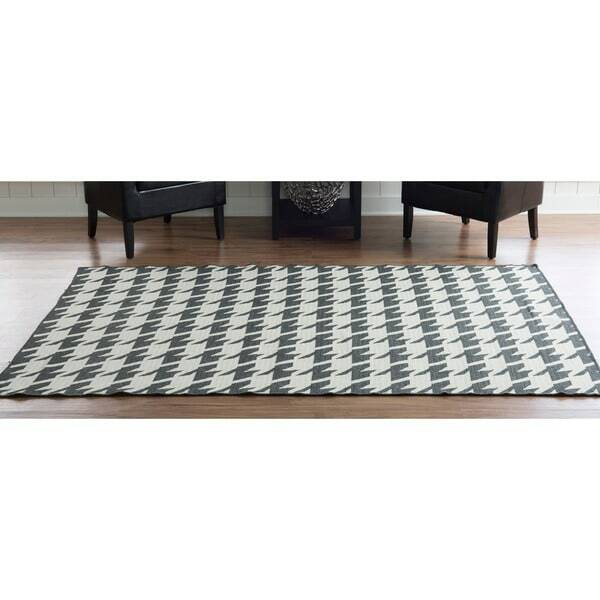 Constructed of 100-percent wool, this floor covering features a geometric pattern in a charcoal grey and ivory finish, flat-woven construction, and fully reversible design for two distinct looks with a dark and light side. With a striking houndstooth pattern in Charcoal Grey and Ivory and dual functionality being fully reversible there are lots of options for the SA06. This rug is 5' x 8'. "Does this rug com in a 8 x 10?"